Alt-pop duo, Æves, are back at it with the release of their new EP, Desire. Featuring previously released single “Loaded Love,” there’s so much new pop greatness to be heard from the two friends. Their latest single, “Wild Hearts,” opens Desire. 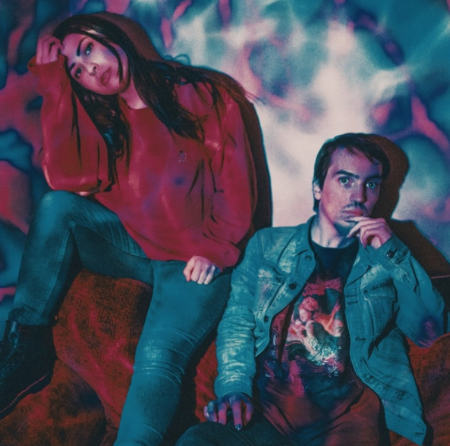 A groovy pop track featuring a captivating bassline and memorable claps, Molly O’Malley and Matthew Adam blend together the best elements of pop and alternative in an electric new way. “Wild Hearts” shows a new side of AEves as more electronic, synth dominated than guitar driven “Loaded Love”. With O’Malley’s smooth vocals mixed over the funk driven track add a new layer that the duo previously never hit. Other new track “Haunted” is just as different as the last two. A dark, R&B infused track mixes layers of percussion over a driving, deep bassline. With lyrics like “are you all that I wanted” that float into your ears and ring there, it’s easy to be captivated by the track. The second half of Desire features a remixed version of “Wild Hearts” and stripped-down renditions of the two singles. The stripped variations of “Loaded Love” and “Wild Hearts” envision the tracks in a new way and show how raw the tracks truly are. Vaines - "Nobody Like You"
High Fidelity - "Stay True to Yourself"